Microsoft may have claimed Windows 10 as final version of Windows Windows 10 Is the Last Version of Windows. Ever. Windows 10 Is the Last Version of Windows. Ever. Microsoft is sick of you not upgrading, and has a solution: Windows 10 will be the final "version" of Windows. Ever. This could mean that you will never again have to buy Windows. Read More , but nobody ever said it’d be simple. A little after two years in the wild, Windows 10 has no fewer than ten different editions available. Each one is the same at its core, but offers slightly different features for users with varying needs. Along with its ever-changing features These Windows 10 Features Are Constantly Changing These Windows 10 Features Are Constantly Changing Windows 10 will never stop changing. Microsoft is constantly experimenting. Here are some Windows features that continue to improve with every Windows update. Read More , this can make keeping track of what’s current with Windows 10 tough. Let’s look at each Windows 10 edition in turn, and see why Microsoft has created such a fragmented environment. We start with the baseline version of Windows 10. If you were to go into a store and buy a new laptop off the shelf, it would almost certainly have Windows 10 Home on it. True to its name, it includes the full Windows 10 experience with features that the average home user will enjoy. You’ll find all the staples of Windows 10 inside, including Cortana, Store apps, Xbox connectivity, and support for tablet and touch features. But the Home edition leaves out some of the business-oriented features of Windows 10 Pro, which is the only other edition you can buy standalone. Windows 10 Pro builds on what Home offers but includes more features intended for power users and business use. The most prominent differences are the ability to join a Pro machine to a domain, support for BitLocker encryption, and Group Policy support How to Access the Group Policy Editor, Even in Windows Home & Settings to Try How to Access the Group Policy Editor, Even in Windows Home & Settings to Try Group Policy is a power tool that lets you access advanced system settings. We'll show you how to access it or set it up in Windows Home and 5+ powerful Group Policies to boot. Read More for easily changing settings on a company-wide scale. Most Windows 10 machines in business use run Pro so IT professionals can use these tools to their advantage. But Windows enthusiasts can also benefit from what Pro has to offer. For example, many of the tweaks we discuss in articles are easier to change using the Group Policy Editor 12 Ways Windows Group Policy Can Make Your PC Better 12 Ways Windows Group Policy Can Make Your PC Better The Windows Group Policy grants you advanced control over your system, without having to mess with the registry. We'll show you how to easily customize Windows in ways you didn't think were possible. Read More than in the Registry. 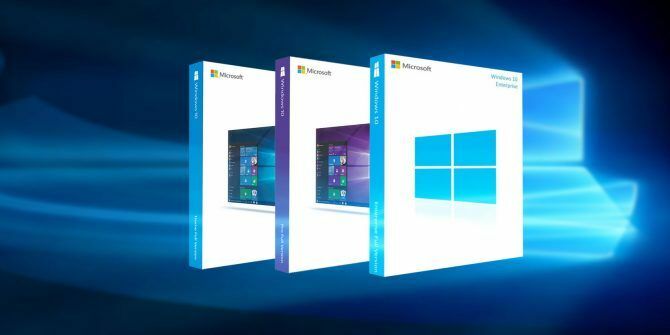 Pro is obviously more expensive when purchased outright, though you can upgrade your copy of Windows 10 Home How to Upgrade from Windows 10 Home to Professional Edition How to Upgrade from Windows 10 Home to Professional Edition Windows 10 Home users are missing several subtle features. Pro users, for example, can temporarily defer Windows updates. We show you how you can upgrade to the Pro edition to regain some control over Windows... Read More to Pro for $99. However, we don’t think it’s worth it Is a Windows 10 Pro Upgrade Worth $99? Is a Windows 10 Pro Upgrade Worth $99? Windows 10 Pro offers more features, but also carries a $99 price tag to upgrade from the Home edition. Here's what you need to know to decide if professional features are worth the upgrade. Read More for most home users. You can substitute free alternatives for some of the Pro-only features. For example, TeamViewer can replace Remote Desktop and you can swap VeraCrypt for BitLocker. And no normal user of Windows at home needs to join their computer to a domain. One of the newest editions to the lineup, Windows 10 S is a slimmed-down version of the operating system. Its most distinctive feature is that you can only install apps from the Windows Store, so it won’t work with any traditional desktop software. Microsoft Edge is the default browser and you can’t change the default search engine from Bing. Windows 10 S is only available pre-installed on devices, and most of them are low-end and cheaper machines. Microsoft is aiming Windows 10 S at the education market, as it’s a sort of competitor to Chromebooks. While you can upgrade Windows 10 S to Windows 10 Pro for $50, most home users should stay away from it. The combination of cheap hardware and limited available apps, limits what you can do with your device. Check out our full overview of Windows 10 S Windows 10 S: Everything You Need to Know Windows 10 S: Everything You Need to Know Windows 10 S is a new stripped-down version of Windows 10 designed for schools. Let's discuss the good and the bad, and decide if you should buy one of the new machines. Read More for more information. Windows 10 Enterprise is, unsurprisingly, intended for large-scale business use and only sold through Microsoft’s volume licensing. Unlike Windows 7, there’s no Ultimate edition of Windows 10 that offers the full set of Enterprise features for home users. But that’s okay, because the extra features of Enterprise only shine in corporate deployments. The biggest feature is DirectAccess, which allows remote workers to access their company’s internal network through a connection that’s like a VPN but offers more security. AppLocker, another standout feature, lets administrators block access to specific apps How to Lock Down Windows User Accounts How to Lock Down Windows User Accounts Letting people use your computer while you're gone could lead to problems. We show you how to restrict Windows features on standard or child accounts so others can't access sensitive info. Read More . 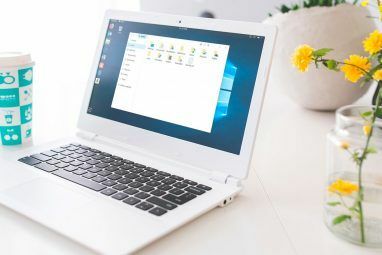 This edition also allows companies to switch to a long-term branch of Windows to avoid the regular changes of Windows 10 that might disrupt their operations. Enterprise also features some behind-the-scenes tweaks that make it easier for IT pros to install or migrate Windows en masse in a standardized fashion. While Pro is great for small businesses, a company with thousands of employees can save money and control their setup with the Enterprise edition. The Education edition of Windows 10 includes all the corporate-ready features of Enterprise. As Microsoft explains, it “is effectively a variant of Windows 10 Enterprise that provides education-specific default settings.” In past versions, this included disabling Cortana by default but she’s present in current builds. Windows 10 Education also disables tips and tricks and the “suggestions” that are just ads 5 Places to Find & Disable Ads in Windows 10 5 Places to Find & Disable Ads in Windows 10 You shouldn't have to put up with advertising in your operating system. Windows 10 features a few ads and promotions. We'll show you where to find and how to get rid of them. Read More by a different name. Aside from these default settings, the only big change for the Education edition is that it costs significantly less than the Enterprise version. This helps schools keep costs down while still getting a powerful edition of Windows that lets them block games and inappropriate content on PCs How to Ban Windows 10 Ads & NSFW Content from Your Desktop How to Ban Windows 10 Ads & NSFW Content from Your Desktop Windows 10 may be crossing a line with desktop ads and NSFW content. Microsoft and third-party developers can push promotional material directly onto your desktop. We show you how you can defend yourself. Read More that students use. Interestingly, while a computer must have Windows 10 Pro installed to upgrade to Windows 10 Enterprise, that’s not the case for the Education edition. A PC with Windows 10 Home can jump to Windows 10 Education, further reducing costs for schools. Confused by all these similar names yet? Windows 10 Pro Education combines two existing edition names to muddy the waters further. Like Windows 10 Education, this one is basically a different flavor of Windows 10 Pro with a few default settings specific to educational environments. The biggest difference between Pro Education and Education is that the former is available pre-installed on new devices purchased through the K-12 program at a discount. This means that schools don’t have to go through Microsoft’s volume licensing to buy education-ready PCs. Smaller schools who lack a full IT staff or don’t need the enterprise features of Windows 10 Education can still exercise control using the features present in Windows 10 Pro Education. Both Windows 10 Education editions include a “Set Up School PCs” app that guides administrators through creating a standard image of Windows. Did you know that Windows Phone still exists MakeUseOf Says Goodbye To Windows Phone MakeUseOf Says Goodbye To Windows Phone This is going to be a tearful goodbye, buddy, but it has to happen. MakeUseOf will soon be parting ways with Windows Phone. Read More ? It’s called Windows 10 Mobile now, but it’s the next iteration of running a version of Windows for your smartphone. This is part of Microsoft’s plan to have one unified operating system on every device. It lets you access the same new Store apps available on desktop Windows 10, along with the Continuum feature that lets you use your phone like a PC on the big screen. While it’s an improvement over Windows Phone 8.1 Why You Should Upgrade to Windows 10 Mobile and How to Do It Why You Should Upgrade to Windows 10 Mobile and How to Do It Windows 10 Mobile has finally been released to the public. Provided your phone is supported, you should upgrade. Here's everything you need to know about upgrading from Windows Phone 8.1 to Windows 10 Mobile. Read More , Windows Mobile is still largely irrelevant in the mobile sphere as Android and iOS reign supreme. Thanks to a botched rollout This Is Why Windows 10 Mobile Was a Tech Launch Failure This Is Why Windows 10 Mobile Was a Tech Launch Failure When you're a dedicated Windows Phone user these days, you may get the impression that Microsoft hates you. How else would you explain this recent Windows 10 Mobile launch? Can we even call it that? Read More and continued lack of solid apps, Windows 10 Mobile has suffered from limited use. The Enterprise version of Windows 10 Mobile is almost the same as the consumer version. As you’d expect, it offers business-focused features like deferring and managing updates, controlling telemetry, and more powerful rollouts. If you’re “lucky” enough to use a Windows 10 Mobile phone for your job, this is likely the version running on your device. For past Windows versions, Microsoft provided a slimmed-down edition called Windows Embedded. Windows XP Embedded, for instance, was (and unfortunately still is Why Windows XP Won't Be Going Away Anytime Soon Why Windows XP Won't Be Going Away Anytime Soon People cannot let go of Windows XP. In businesses and homes the world over, it will stick around. We spoke with three Windows XP users from different generations and backgrounds to find out why. Read More ) wildly popular for powering light devices like ATMs, cash registers, and time clocks. 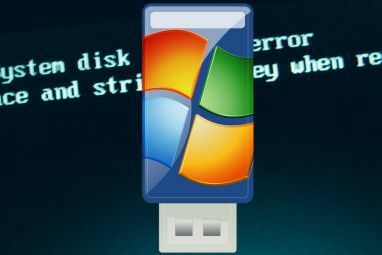 Embedded editions of Windows contain only the essential components, reducing their footprint on the machine while still allowing the device to take advantage of Windows’ power. Now, the successor to Windows Embedded is known as Windows IoT. As you surely know, the IoT has brought internet connections to everyday objects and this Windows edition serves to let hobbyists and enterprise users alike take advantage of it How Windows 10 IoT Will Soon Let You Manage Your Home How Windows 10 IoT Will Soon Let You Manage Your Home Thanks to a new partnership between Samsung and Microsoft, you might soon manage your household appliances from your Windows 10 computer. We show you what your future smart home might look like. Read More . Windows 10 IoT can run on popular small devices that don’t have beefy resource pools. Microsoft offers two flavors: Windows 10 IoT Core and Windows 10 IoT Enterprise. Core is free for anyone to download and you can install it on devices like a Raspberry Pi. Another New Raspberry Pi... and it Supports Windows 10 Another New Raspberry Pi... and it Supports Windows 10 Read More The Enterprise flavor is equivalent to Windows 10 Enterprise and thus more powerful. Businesses can install it on industrial robots, cash registers, and other IoT devices. The Microsoft Surface family includes an interactive whiteboard known as the Surface Hub. Like other smart boards, it’s designed for business use so employees can collaborate The 6 Best Free Online Meeting Tools to Collaborate with Your Team The 6 Best Free Online Meeting Tools to Collaborate with Your Team Small teams don't need expensive enterprise apps for collaboration. Here are six fantastic tools that you can use to manage your team's data, communication, and more. For free. Read More and video conference between locations. This device runs a special version of Windows 10 called Windows 10 Team. Windows 10 Team is based on Enterprise, but offers a few differences since it’s tailor-made for a giant board. The user interface is optimized for a mega touchscreen. Anyone can walk up and sign into a low-level user account without logging in. When a session ends, the system deletes local files if you don’t save them to OneDrive. And like Windows 10 S, you can’t install traditional desktop apps. Team is a specialized version of Windows 10 as it only applies to one device. You’ll probably never encounter it. Because the 11 above editions weren’t enough, Microsoft recently decided to announce yet another version of Windows 10. This one is called Pro for Workstations, and it’s designed for high-end PCs that run demanding workloads. New features include a “resilient file system How You Can Try the New Resilient File System for Windows How You Can Try the New Resilient File System for Windows A file system manages data stored on your computer. The Windows default is NTFS. 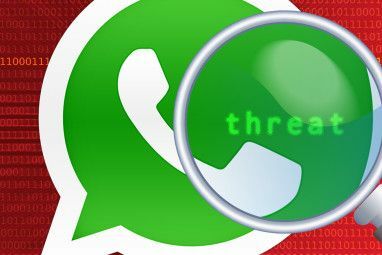 ReFS promises improved resilience and will eventually replace NTFS. We show you its benefits and how you can try ReFS now. Read More ,” persistent memory, faster file sharing, and expanded hardware support. Essentially, this results in a lot of back-end improvements that make the everyday work of computing information all day run more smoothly. Microsoft explains that these changes will result in less data corruption, transfer data over a network faster, and utilize RAM up to 6TB How Much RAM Do You Really Need? How Much RAM Do You Really Need? RAM is like short term memory. The more you multitask, the more you need. Find out how much your computer has, how to get the most out of it, or how to get more. Read More . Windows 10 Pro for Workstations will launch alongside the Fall Creators Update in fall 2017. Unless you have a powerhouse PC that runs calculations all day, every day, this edition will likely only see use in business. Windows 10 Home is the standard offering and includes everything that home users need. Windows 10 Pro builds on Home and includes additional features for power users and small business use. Windows 10 S is a stripped-down Chromebook competitor that only lets you install Windows Store apps. Windows 10 Enterprise is only available through volume purchasing and features advanced features for large-scale corporate deployment. Windows 10 Education is an offshoot of Enterprise with education-specific default settings and lower pricing for schools. Windows 10 Pro Education is available pre-installed on PCs that schools can purchase at a discount and offers an education-specific flavor of Pro. Windows 10 Mobile is Microsoft’s mobile operating system that’s not too popular. Windows 10 Mobile Enterprise allows businesses to manage their employees’ Windows 10 Mobile devices. Windows 10 IoT replaces Windows Embedded, a lightweight version of Windows that hobbyists or businesses can install on small computing devices as well as robots and point-of-sale applications. Windows 10 Team is a specialized version of Windows 10 that only runs on the Surface Hub smart whiteboard. Windows 10 Pro for Workstations supports powerful PCs that regularly run intense calculations. There you have it: every major version of Windows 10 that’s on the market. But even this doesn’t account for the various Windows builds floating around in the wild. For instance, PCs with Intel Clover Trail processors can’t upgrade to the Creators Update Windows 10 Is No Longer Supported on Your PC? Here's What You Can Do! Windows 10 Is No Longer Supported on Your PC? Here's What You Can Do! Did you run into the dreaded "Windows 10 is no longer supported on this PC" error message? Here's why this is occurring and what your options for moving forward are. Read More , so Microsoft is supporting those specific devices with the Anniversary Update until 2023. Since the Anniversary Update will end general support in 2018, this adds yet another level of fragmentation This Happens When Windows 10 Support Ends This Happens When Windows 10 Support Ends The original version of Windows 10 is not supported by Microsoft anymore. Here's everything you need to know about the Windows lifecycle, including how you can upgrade and stay secure. Read More to Windows 10.
Who knows how many new editions of Windows 10 we’ll see in the future? Perhaps Microsoft will retire some as they drop out of use. Thankfully, as a home user, you only have a few versions to keep track of. Let businesses handle the rest. Which Windows 10 version are you running now? Were any of the other versions a surprise to you? Tell us which one is the most interesting and leave your thoughts down in the comments! Explore more about: Windows 10, Windows 10 IoT, Windows 10 Mobile, Windows 10 S, Windows Upgrade. "The biggest feature is DirectAccess, which allows remote workers to access their company’s internal network through a connection that’s like a VPN but offers more security"
And Window Fans ridicule Linux for having too many distros?! That's like a pot calling the kettle black. At least, with the exceptions of specialty distros, all Linux distributions have pretty much the same set of features/applications. Well, for the most part, Windows 10 Home and Pro are what end users can expect to see on their computer systems. Anywhere else but their own personal computers it's not up to them to decide (in company, or education environment) so it probably doesn't matter anyway. This isn't that much worse it different from any previous Windows version. Not every product was previously branded as Windows, but Microsoft has made different SKUs for different needs more or less over the entire history of Windows. Most people will only ever see Windows Home and maybe Pro or Enterprise and that's still true. The problem with Windows is MS is still trying to make money off of it, hence why all the skews. Company like Apple does not so they do not even offer a Server version any longer. Apple not trying to make money off its O/S? That IS a rich one. If they were not trying to make money, they would have open-sourced it or at least allowed third parties to write compatible O/Ss like they did for their Apple II series. Apple is no better than MS in wanting to squeeze out every last nickel out of the users and then some. Apple doesn't make any server-class hardware, either. They used to, kinda, but nobody with a brain and purchase authority needs their rackmount stuff to say Apple on it when a Lenovo or Dell machine costs 40% less and does all the same stuff for client systems. From a network services standpoint, OSX is just another UNIX and that market is already served by the surviving bits of Sun, HP, IBM and dozens of competent white-box Linux VARs. Apple doesn't have anything unique to offer in that space. From the consumer side, Microsoft did (does, since there's still a way to get it) give away Windows 10 to existing customers within three major releases of the most current-at-the-time OS. Businesses more or less pay Microsoft annually for their licenses, which is something that has been going on with business computing since the 1970s at least. Microsoft is a software company. Operating Systems and Productivity software are the majority of its business. Making its business OS software free would be a deeply stupid move on its part. I'd further argue that most of the technology that's been added its software over the last five years has been focused on cosmetics or driving people more deeply into Apple's service offerings rather than providing any wider technology benefit. Sure, you can get continuity between your Apple phone and a Mac. Microsoft has made real efforts to open up their software so that it's useful even to people who wouldn't normally use Microsoft-anything. I can run MSSQL Server to process ASP.NET code on Linux now. Apple used to be a champion of open computing, probably right up until the moment they launched the iphone.